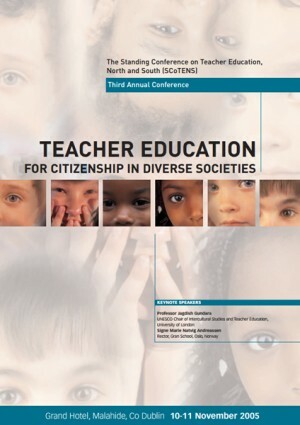 The Standing Conference on Teacher Education, North and South (SCoTENS) held its third annual conference in Malahide, Co Dublin, in November 2005 under the title ‘Teacher Education for Citizenship in Culturally Diverse Societies’. Professor Jagdish Gundara, UNESCO Chair of Intercultural Studies and Teacher Education, Institute of Education, University of London: Intercultural Teacher Education in Multicultural Societies, followed by questions and discussion. Dr Derick Wilson, Senior Lecturer, University of Ulster and co-director, Future Ways: Partisanship or Citizenship – Teacher Training as a Space for Critical Reflection? Closing remarks by Dr Pauric Travers, President, St Patrick’s College, Drumcondra.